Williamsburg is a very unique neighborhood conservative and cool, Hasidic and Hip. Williamsburg Brooklyn New York has something for everyone. Williamsburg Brooklyn New York has long been home to light industry and warehouses. Much of this warehouse space has been converted to popular residential lofts. 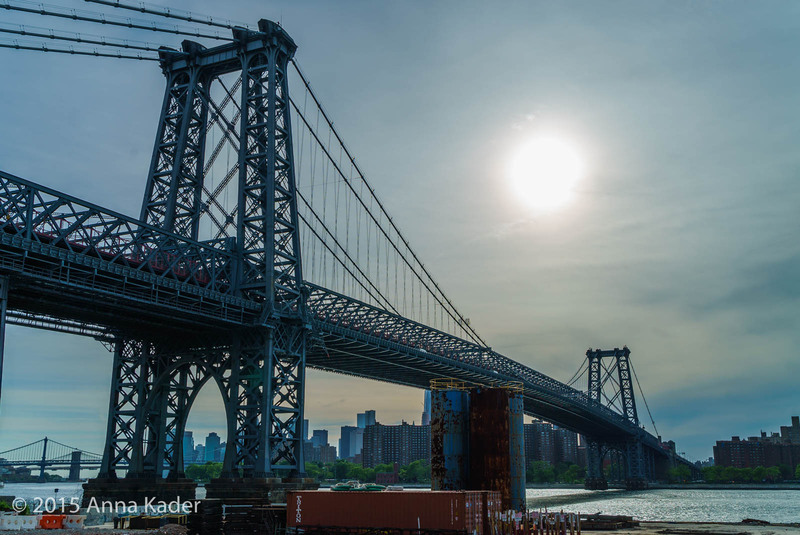 In 1903 the Williamsburg Bridge opened, which created a new link between boroughs. Williamsburg Brooklyn New York Real Estate expanded to accommodate all of the new comers. Many six story tenements, brownstones and wood frame houses were built in Williamsburg Brooklyn New York as well as large apartment complexes. Being in such close proximity to Manhattan (one stop on the L train), Real Estate values in Williamsburg Brooklyn New York have increased dramatically over the last few years. The price range of homes in Williamsburg Brooklyn New York is from $700,000's to well over 1 million dollars. Williamsburg: from the East River on the west to the Queens County border on the east, from North 15th Street south on Berry Street to North 12th Street, continuing east to Bayard Street and south at Manhattan Avenue to Richardson Street, going east to the Queens County border to Flushing Avenue on the south. Southside/Los Sures: from the easy River on the west to Union Avenue on the east, from Grand Street/Avenue on the north to Division Avenue on the south. Northside: from the East River on the west to Union Avenue on the east, from North 15th Street on the north to Grand Street/ Avenue on the south. When it opened in 1903, the Williamsburg Bridge was the longest suspension bridge in the world, with a span of 1600 feet and a total length of 7308 feet and the first with all-steel towers. Thinking of selling your brownstone, limestone, home, house, condo, residential, commercial real estate or investment property in Williamsburg Brooklyn NY? Learn about the current, top market value of your property. Get a free property evaluation. Please email Jeff Grandis - Brooklyn Real Estate Broker - at jeff@accreg.com or call at 917-804-3198. It is now a fact that families from all five New York City boroughs especially from Manhattan, are seeking to buy a home in Brooklyn, NY because Brooklyn is no longer an alternative, it is the 1st and best choice in where to buy. For information about schools in Williamsburg Brooklyn, NY please click on the following link: Schools for Williamsburg Brooklyn, NY 11211 and 11222. Click here for for Listed Properties in Williamsburg Brooklyn, NY 11211 and 11222.